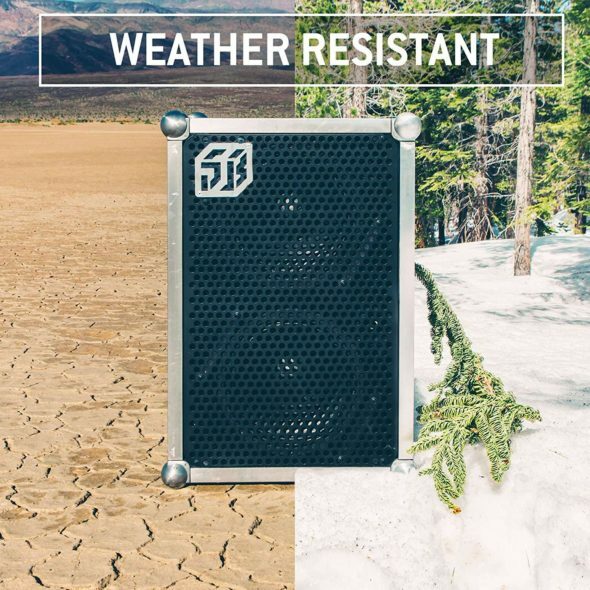 The SOUNDBOKS speaker is portable… just like a YETI Tundra 65 Cooler is “portable”. They both have handles anyway. 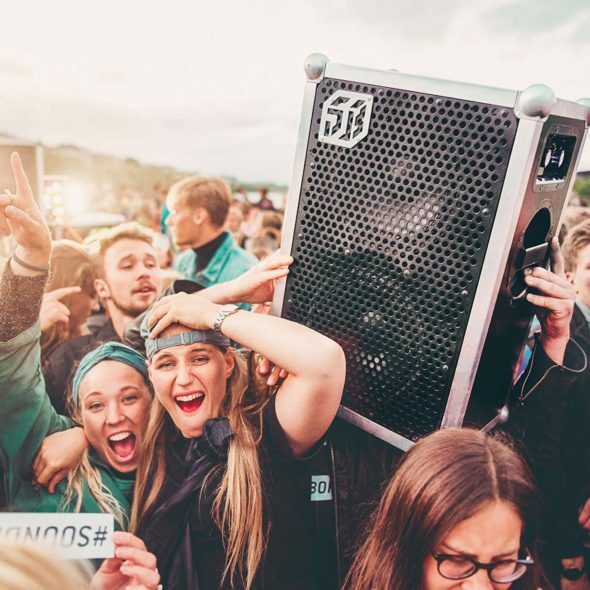 That isn’t the point really as this speaker system claims to be the loudest portable speaker (119dB). Not sure if that is the case though, considering the DiamondBoxx Model XL says it goes to 120dB. I digress. 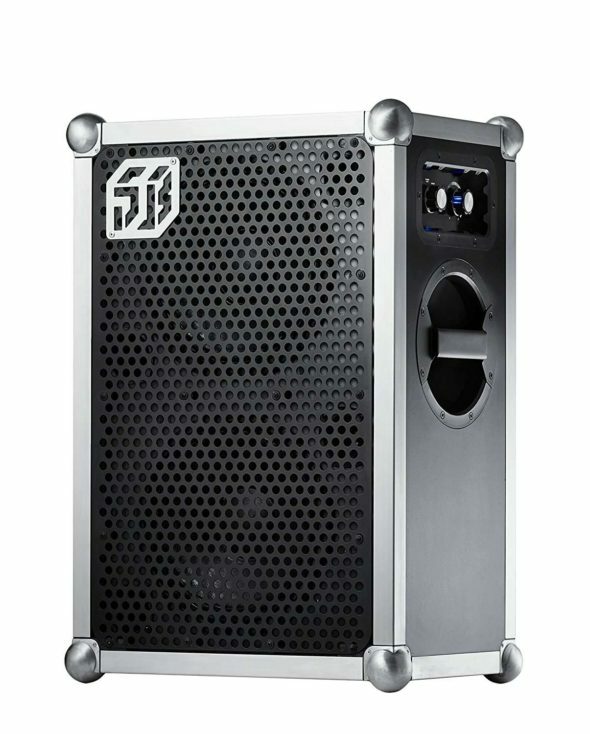 The SOUNDBOKS Bluetooth Speaker ($875) is built with birchwood and has an aluminum frame. 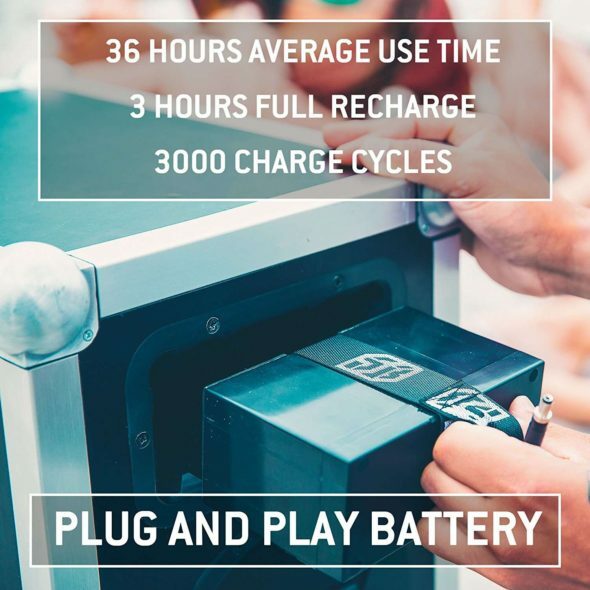 The speaker comes with 2 batteries and plays about 30 hours at high volume (200 hours on low). Amplification is done with Class-D amps and sound should be able to project about 100-yards. Pretty impressive. Will report back with more info if we get our hands on one.